Love the mix of silver in this piece. 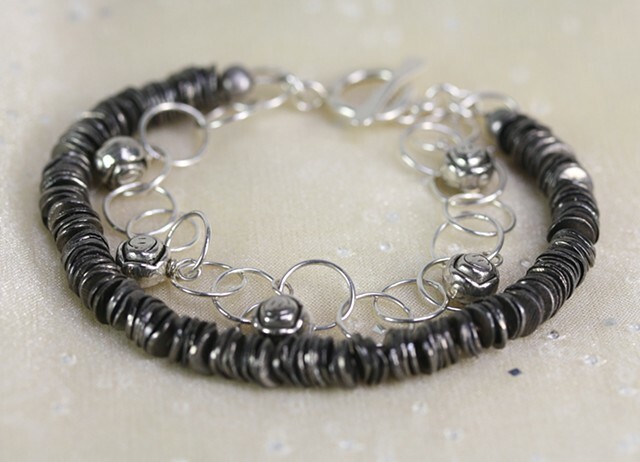 A strand of German silver chips balanced against sterling circle chain with silver roses. Fine silver toggle closure. Approx 7 3/4"